Luke Skywalker is a busy guy, with destroying the first Death Star and joining the Rebel Alliance, but that doesn’t mean he doesn’t take the time to look good. 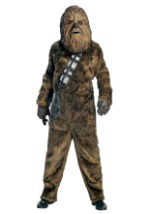 Now, you can look just like Luke Skywalker with this adult Star Wars costume. The outfit includes an ivory tunic, olive belt, pants and attached boot covers. 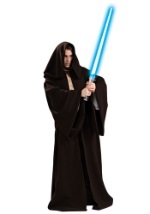 With this costume the Force will always be with you. Add a Luke Skywalker lightsaber to this costume so you're ready to take on Emperor Palpatine when he comes to convert you.